But it’s such a heavy box she had to take a short break! Gabrielle: I wonder what’s in this big box? Gabrielle: Hey?! Is anyone around to help me open up this box? Siobhán: What are you making all this noise about? Siobhán: Why not just have the human open the box? 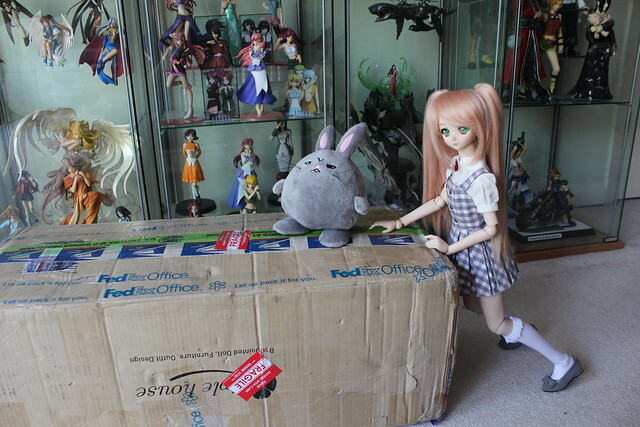 I was happy to oblige, but I invited a few friends to open up the box so Machiko, Keiko, PlasticFantastic and her sister stopped by. 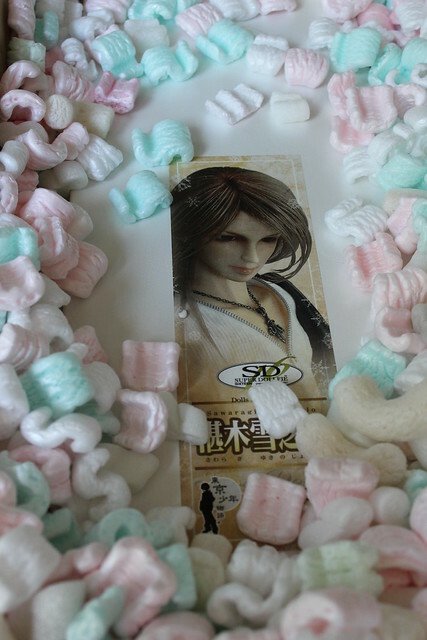 When opening the box, there was a few things in the box that were sent up for PlasticFantastic and lots of packing peanuts! Once I pushed the peanuts aside I saw this beautiful photo on the box! 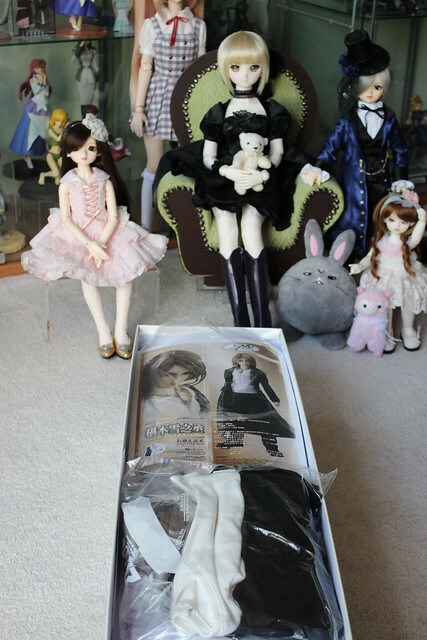 Inside his box was his original manual, one of his original outfits and a special Super Dollfie collector’s pin. 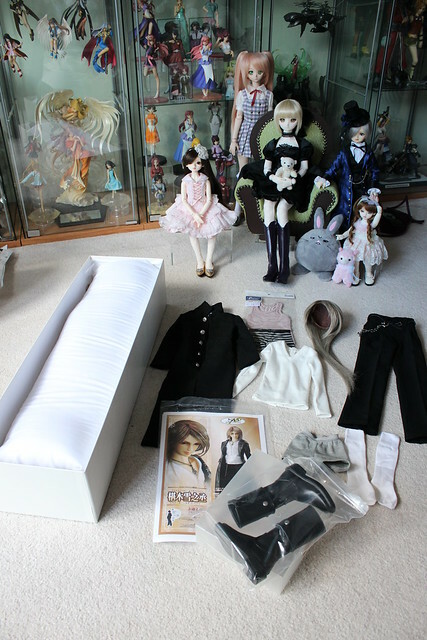 Here are some of his things all laid out. 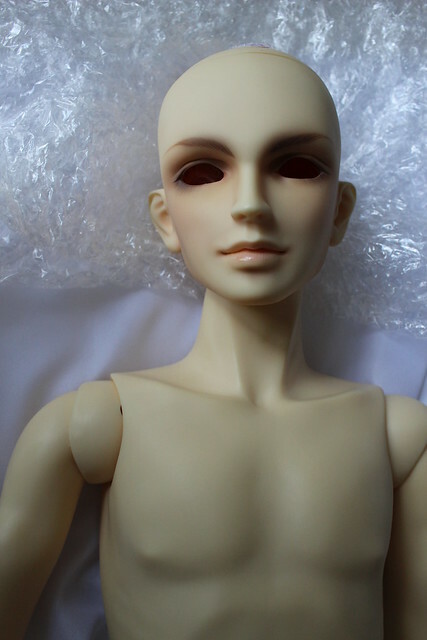 He came with his original default wig and eyes. 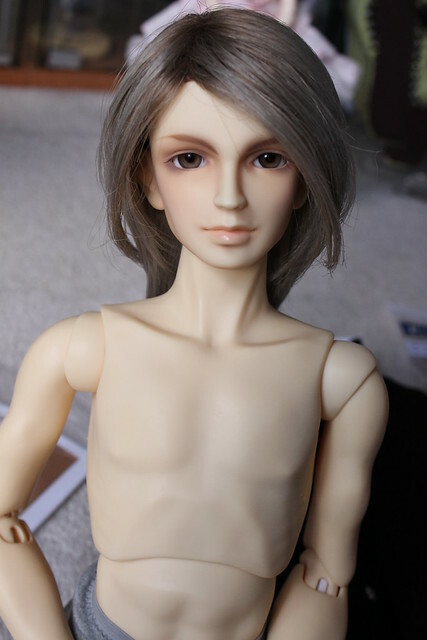 I knew that the seller was including his Tokyo Boys Story outfit, but no shoes, but wasn’t sure if he would come any kind of underwear so I bought him a casual tank top and underwear from Volks, and some shoes from Leeke. 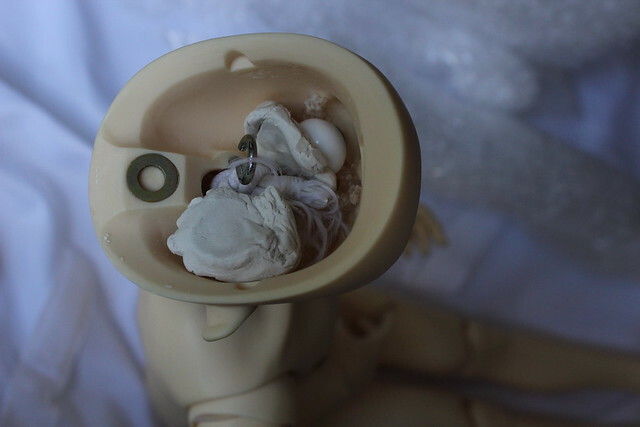 His eyes fell out from inside his head during shipping, but here is a close-up of his gorgeous sculpt. There’s quite the mess inside his head. The putty has dried up and was quite crumbly. Once his eyes were reinstalled and his wig was on he was back to being his handsome self! In the meantime, Alisanne, Gabrielle, Siobhán, Ventus, Keiko’s Eliza (a Luts Kid Delf Pine) and Lareine have gathered to welcome Yukinojo! After getting dressed in his very suave outfit, he joined the group. He’s so tall! Since this doll was released back in 2005, his resin has yellowed a little bit. 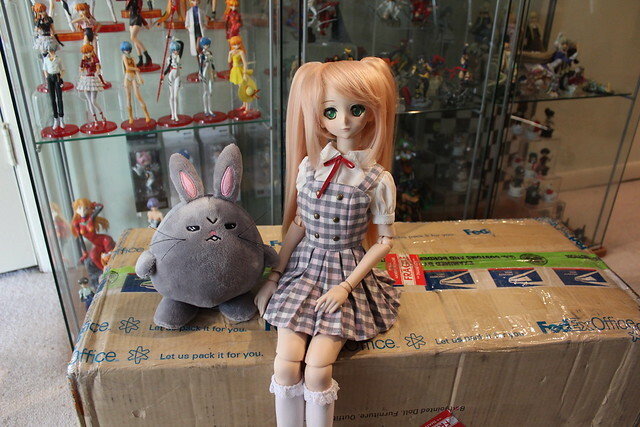 Here’s a comparison of his hand with Alisanne (Volks SD16G Daria from December 2010). It’s quite subtle, and overall it is very even so it doesn’t bother me at all. The saddle-stand that I have at the moment looks a bit strange, so I styled this outfit with his waist-chain as a be a necklace. 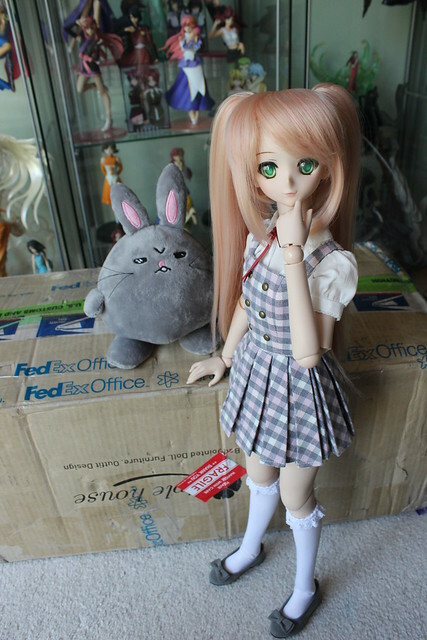 Alisanne is wearing a lovely outfit that I bought at Dolpa 27 in Tokyo. Here’s little Eliza. She has a very sweet and lovely face. 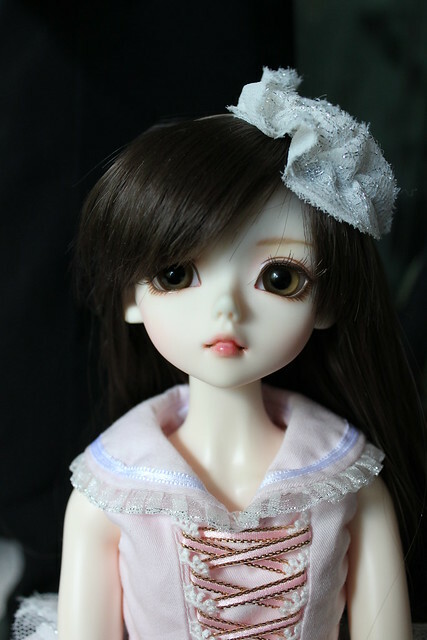 Machiko did the face-up for her as a present for Keiko. For a while I was contemplating getting myself a Tiny doll or a yo-SD, which is why I bought this yo-SD outfit. 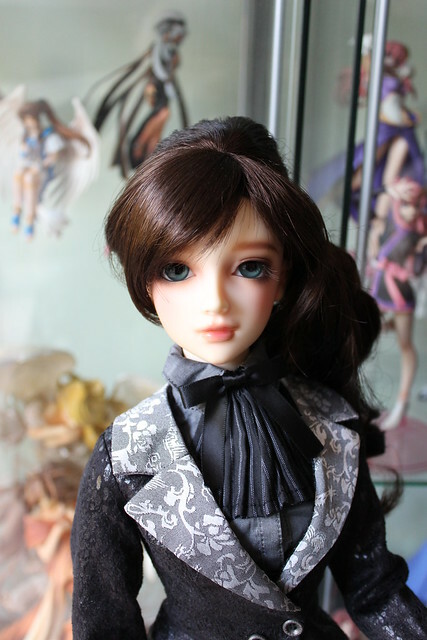 Money issues arose and I decided not to buy a small resin doll, so Lareine gets to borrow this outfit for a while. 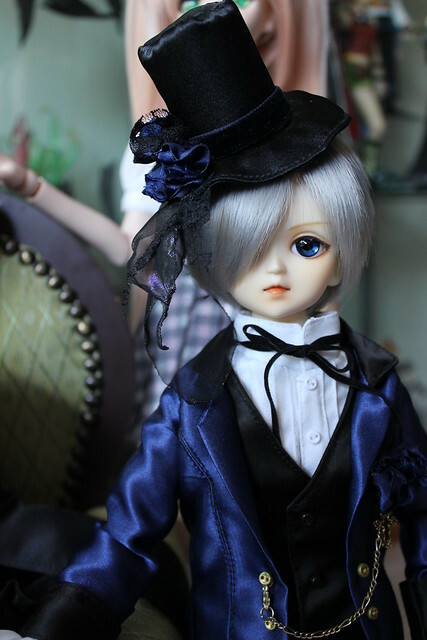 Here’s Machiko’s Ventus (a Volks MSD Ken doll) cosplaying as Ciel Phantomhive from Black Butler. 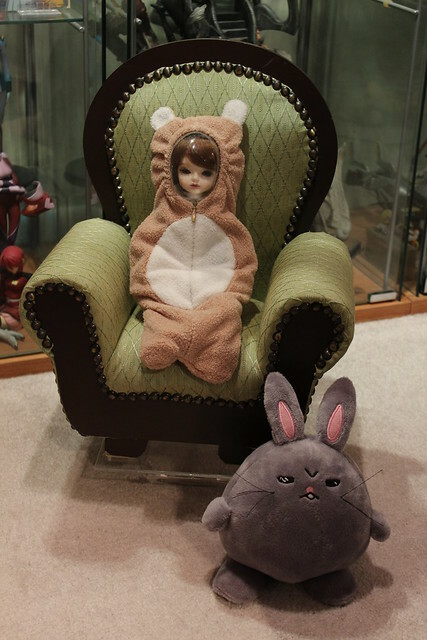 Machiko did his face-up and made his costume herself. 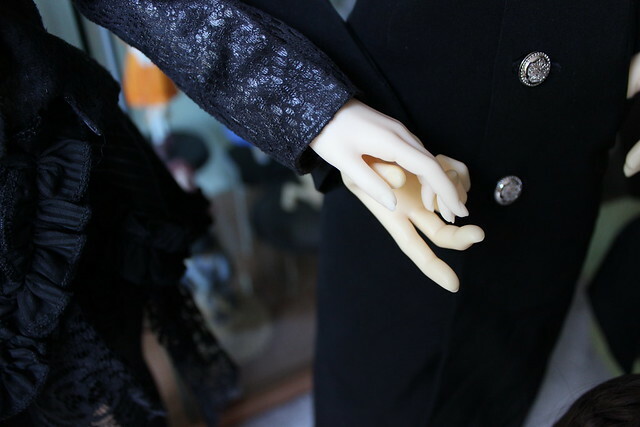 Here’s a comparison of Lareine’s little white-skin resin hand with Yukinojo’s hand. I’ve decided to call him Thaddeus d’Archangeli and he will be my gentleman poet. 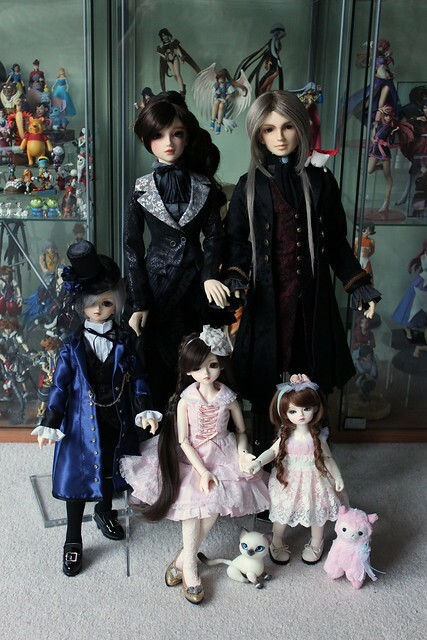 Here are the resin BJD dolls together for a group shot! 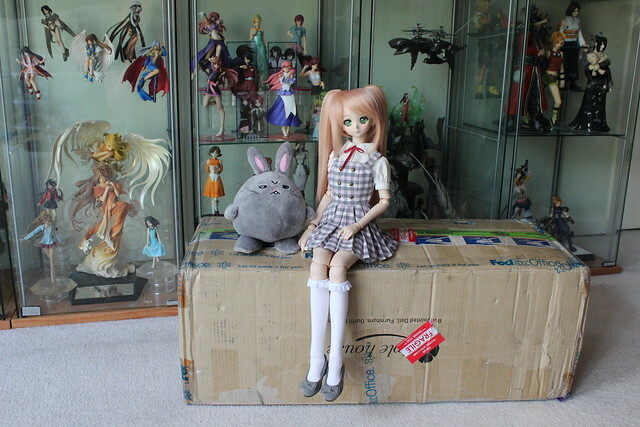 I’m very happy to have this beautiful resin doll join my collection. 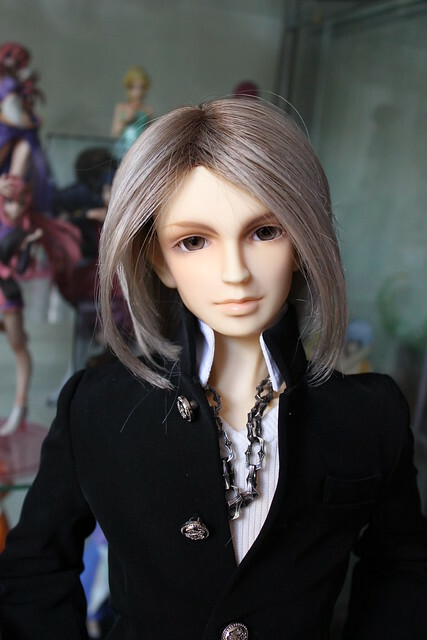 He’s the first male doll in my collection and I’m glad that I waited for the perfect one! I still need to find the right wig for him, but I think I’m off to a good start. 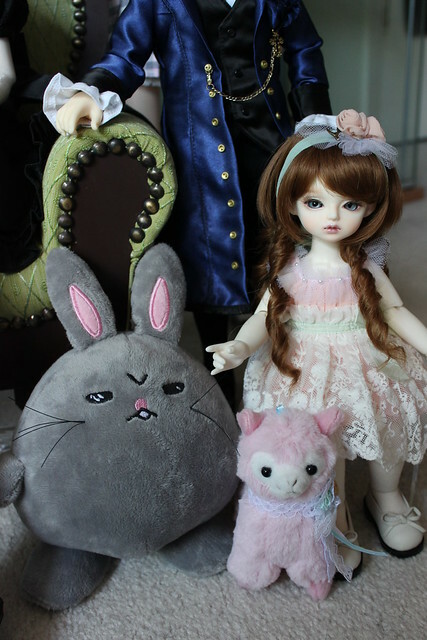 This entry was posted in BJD Misc, Doll Box Opening, Volks Super Dollfie and tagged Sawaragi, super dollfie, Thaddeus, Volks, Yukinojo by archangeli. Bookmark the permalink. Congrats on Yukinojo! He’s a handsome guy!!!! I think the girls will be quite happy XD Do they all have crushes on him? And I LOVE the last shot, totally cracked me up. Your dolls are beautiful! I have to ask you–where did you get the angry bunny? I saw him in a cosplay shop in Tokyo, but he was not for sale. 😦 I think he’s hysterical! I’m home in the US now and I’d love to get one. Thanks! I rescued Angry Bunny at a 2nd hand shop. It was at the old K-Books Doll shop in Ikebukuro, but when I was last there the shop had been closed and is now a café >__<"